Judy Hsu is a Multi-Emmy Award Winning Newscaster at ABC 7 Chicago. She joined ABC 7's original daytime lineup after 15 years of working at "waking up" with Chicago. She now anchors the 11 AM News with Terrell Brown and 4 PM News with Rob Elgas. Additionally, she hosts a long format interview segment that airs on Sunday mornings called Newsviews. She is a goodwill ambassador DuPage Convention & Visitors Bureau since 2017. She was on the anchor desk during the Blizzard of 2015; she helped deliver wall to wall coverage on "CPD in Crisis"; she broadcast the last interview with Chicago Police Superintendent Garry McCarthy; she scored the first TV interview with Illinois First Lady Diana Rauner. Judy Hsu was born in Taipei, Taiwan to her parents; her dad was a well-known Grand Master of Tai Chi. However, she immigrated to Chicago along with her family from Taiwan when she was 11-years-old. The family then settled in Morton Grove, and she attended Niles West High School, where she was involved in dance and cheerleading and was captain of the pom-pom squad. Growing up in Chicago, she attended the University of Illinois at Urbana-Champaign from where she received her B.A. in Broadcast Journalism. The 46-years-old Judy having the height of 5 feet landed an on-air reporting job the day after her graduation. 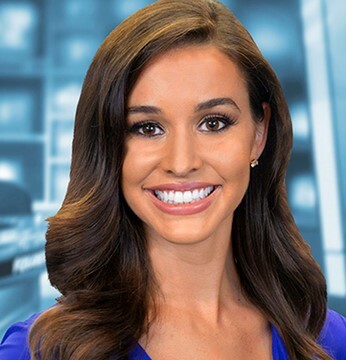 Her broadcasting career began with a brief stint at WCIA-TV in Champaign-Urbana before she moved on to one of the company’s sister stations, KFMB-TV in San Diego. Judy met her husband Tracy when she moved on to one of the company’s sister stations, KFMB-TV in San Diego, where she worked at the anchor desk. Although the couple did not disclose when they got married, back in October 26th of 2017, Judy shared a picture on her Instagram along with her husband mentioning that they were celebrating their 20 years of marriage. Judy and her husband Tracy have four children together; 7 and 15-year-old boys and 8- and 12-year-old girls. With such a huge family, the ABC 7’s morning anchor juggles killer schedule out of love for her children and her job. But this could not be possible without her loving husband. The man she describes as her best friend as her husband became a stay-at-home dad. Without him, she wouldn't be able to have it all—family and career. Although Judy had her three children in the hospital, things went quite different when it comes to her fourth child. Back in October of 2009, when she was headed to the hospital early morning- but her baby boy just couldn't wait. She was on her way to the hospital around 3 a.m. to deliver her fourth child when she gave birth on the side of the Eisenhower Expressway and her husband, Tracy had to deliver the baby boy. Later on, Judy and her baby were taken to the hospital. When it comes to Judy’s career, she joined ABC 7 as the weekday anchor of the station's #1 rated morning newscast back in 2001. She helped lead the morning show for 15 years before the announcement of her promotion to the afternoon newscasts. She served as KFMB's weekend anchor and general assignment reporter prior joining ABC 7. When it comes to Judy Hsu’s salary, News Anchor/Reporter salaries at WWSB ABC 7 ranges from $49,918-$54,117. As she is a 16-year veteran of the station, her salary is estimated to be around $54,117. And, her net worth is calculated to be around million although the exact information regarding this matter is not disclosed yet. Holly Sonders Wiki: Casual Talks On Divorce From Husband; Officially Single! CNN Rebecca Berg Is Getting Married? Boyfriend Moments Scream Yes!